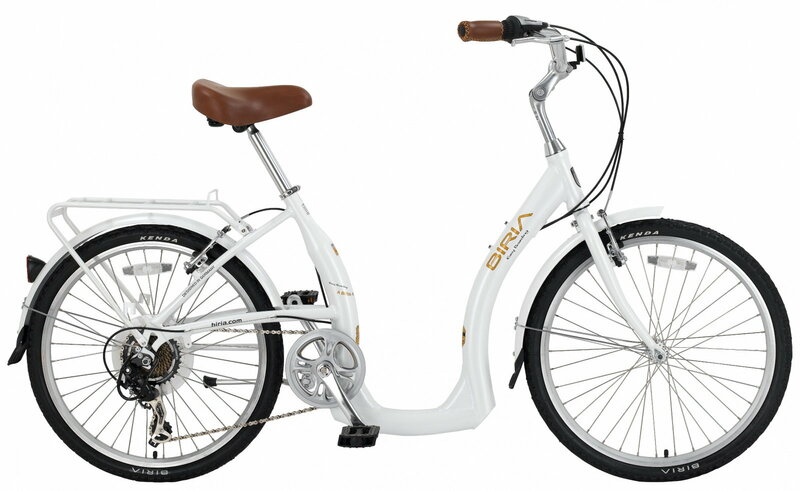 I've visited several bike shops, where they've recommended the Electra Townie Ladies cruiser. Other recommendations have been for the Schwinn Perla or the Biria Low Step Easy Boarder. But every bike I try seems too tall at 26". I'm not even sure a 24" will suit me. BTW, my previous bike was a 26", and in my younger days I was flexible enough to mount and dismount it. Are there any other short people out there riding? Any tips on fit? Maybe a large child's bike? Can anyone suggest a brand you've had success with? Congratulations on your new fitness program. It sounds like you are doing well. I have a couple of shorter friends that fit very well on 24" kid's mountain bikes, so that would be worth a try. Another option... I do Bike Valet parking, and periodically a short woman will ride up on a Bike Friday bicycle, and seem to thoroughly enjoy it. They come in a number of styles from more racy models to more cruising models. Custom made to your specs. A third option would be recumbents. They are completely different, but may be comfortable for you to ride, although for the most stable ones, you are quite low (meaning you have to be able to sit down and stand up). The recumbent trikes are some of the more popular recumbents, although there are also 2 wheel versions. Personally, I'd start with a used 24" MTB, get it tuned up with good tires, and see how you like it, then move from there. I'm sure there are 1000 different issues people have with knees, but I will say that the more I ride, the better my knees seem to get. You might check out the women's Townie with 24 inch wheels and a step through frame. There is a thread somewhere on this site about step-through frames ... if I stumble across it i will add it here. A step-through frame should suit your situation well---safe and convenient. Not saying it is the best option, but is the first thing i thought of. I respect your efforts. I am of a similar vintage and struggling to maintain , let alone reduce my weight. The willpower needed to not eat those extra few hundred calories each day is far greater than what it takes to get off the couch to exercise. Last edited by Maelochs; 07-13-18 at 05:05 AM. Good for you! Do not get discouraged...and find a bike that fits. Cheers! I don't have any good advice ... just wanted to congratulate you on the remarkable progress you've made so far ... 87 pound weight loss is amazing and takes a lot of discipline - great job! And congrats, too, for what sounds like a great exercise routine you've established. Hope you find the right bike and integrate cycling into your lifestyle! Best of luck!!! It sounds to me like you might benefit from some physical therapy, or alternately, a Yoga regimen to gently coax your arthritis hips to open up a bit so you can mount and dismount a bike. My wife is 4'11" and it is hard to find a bike that fits. One problem with looking at bikes for kids is they are often very heavy compared to adult versions. It appears price targets are the main goal in the youth market. The absolute best fitting bike we found was the Diamondback Calico. Performance Sports has a version called the Diamondback Calico ST. The XS fits perfectly. It was also one of the lightest models we found in the $500 and less market. Breezer also has an XS version at Performance Sports but when we visited they had to assemble it. The Breezer Uptown, Breezer Downtown and Fuji Sport City are more step through models that may be a better fit for you. Good Luck! Queen of Scots should be riding the finest. 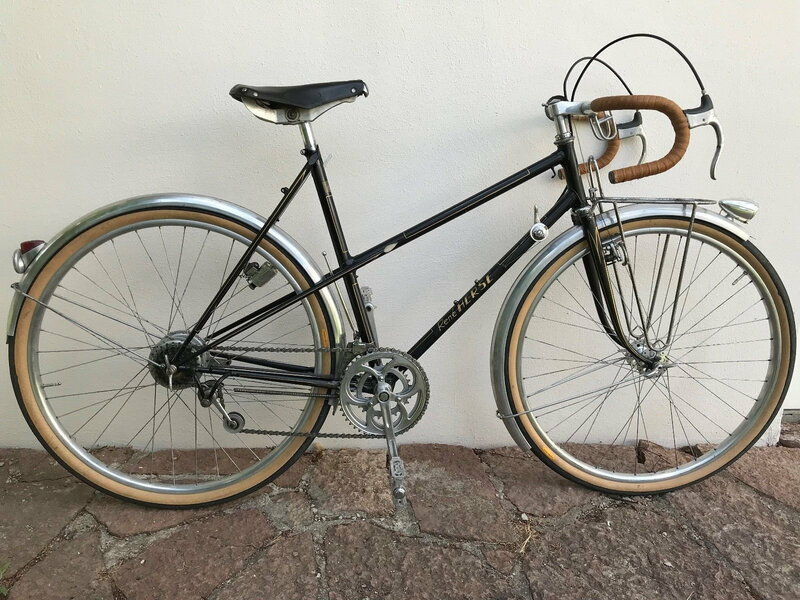 Soma Fabrication offers the mixte (Buena Vista) in a size 42 and 50cm. Have it built up your way. That thing is beautiful. Ride that to a local Highland Games and Gathering o' the Clans. can give you that in a US handmade limited production bike . or any of the many folding bikes , which are less built to order. this is their 24" wheel model. Last edited by fietsbob; 07-13-18 at 12:32 PM. Thanks for the support, and for the suggestions. Today, I visited a bike shop where they fit me to a Giant Suede 2 Ladies bike with a 15 inch step through frame. It worked for me beautifully, and felt great as I took a practice ride. I didn't pull the trigger yet, as I want to research the companybband product on my own first. But I did like it! I was also thinking you might benefit from the "crank forward" geometry of a bike like this - it'll allow you to put your foot down at stop signs easier and that's important if you have hip problems. Giant (and Liv) is one of the biggest bike companies in the world and they use a solid dealer network for sales. I authorize immediate trigger-pulling. Are those 26" wheels? Or smaller? Still, if you like it, it isn't bad. 7 speed should be good for pretty ordinary riding. I sold Giants for many years. The Suede is a good cruiser bike. Had an elderly lady of 76 years do the MS 150 on hers. Two years in a row! Good choice. Yeah! That's the bike I tried! 15" frame and 26" wheels. It was super comfortable, easy for me to mount/dismount, and a really nice ride. I think I'll buy it! Thanks for the photo assist and the positive feedback on the bike. My wife does not have your size or joint challenges, but Mrs. Road Fan is a big fan of bikes designed by Georgena Terry. She has been making bikes to accommodate women of a wide range of sizes, with production starting back in 1987 or so. If you are good at Googling, you should be able to find her current company, her former company (called "Terry Cycles" I think), and images of her bikes. We've bought her two of them. For her they are much like mens' bikes, but Ms. Terry is great to talk to about special needs. I'm probably about the only one here with no experience of Giant, except for having seen them in stores. I saw the Birla in a store, too, but it was owned by one of the custom bike builders I most respect, Ron Boi. I think the Birla is definitely worth a close look. The Giant has a leg raise that is now acceptable to you, but the Birla requires a much lower leg raise. Last edited by Road Fan; 07-14-18 at 04:46 AM. I am glad that our advice has has been helpful I am a 66 year old woman and my wife and many friends of both sexes have issues mounting traditional bikes. My wife now has a bike very like the Giant you tried and found it very easy to get on and off. I am sure you’ll find a good match for your needs. Congratulations on your successful fitness program, very impressive results! Enjoy your bike, whatever your choose, the step through frame seems like a great choice. Have fun! Until you get a bike and then even after you get a bike go to spin class. You mentioned swimming at the Y and all the Y's I go to have spin classes too. This is a good re-introduction to the bike and you really can't beat the workout if you apply yourself a bit. I go thru most of the down months spinning. Since you already have a Y membership, the cost is nothing. You might even take a dip after a hard spin class to relax those muscles. Check around though and attend a couple of classes to see which instructor you like. They are not all equal. I have found that during the winter months it keeps my legs moving and the poundage off if I go to spin class at least 3 times a week. I used to spin ... schedule doesn't allow it now, but i second that it is a great workout .... it doesn't all transfer to the bike, but most of it does, and it is easier to burn calories in a spin class. Rutan 47's advice is excellent. Mrs. Road Fan is a big fan of bikes designed by Georgena Terry. She has been making bikes to accommodate women of a wide range of sizes, with production starting back in 1987 or so. If you are good at Googling, you should be able to find her current company, her former company (called "Terry Cycles" I think), and images of her bikes. We've bought her two of them. For her they are much like mens' bikes, but Ms. Terry is great to talk to about special needs. Yes, Terry is the first thing I thought of when I started reading this thread. Her contribution to womens' cycling is that she decided to take into account anatomical differences between men and women when designing her bikes. Women tend to be smaller than men, and to get a properly fitting frame without compromising performance, she used smaller than standard wheels. When she first started in business, getting decent quality rims and tires for such wheels could be a problem, but that is largely no longer the case today.